Creating a design that will deliver the emotional rewards, personal expression and a sense of well being involves an enormous number of decisions. Some design choices are personal and must be answered by you and some are technical and must be answered by a professional. 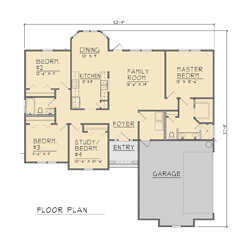 Working with a Residential Designer will ease this part of the home design process. Our highly qualified staff can assist you in refining your ideas and expanding your vision. We can help you realize the Home you’ve dreamed of. We start by meeting with you to discuss your goals, objectives and budget for your new home or addition/remodel project. Based on the discussion, we design a preliminary plan for your review. We then revise the plan based on your feedback and draw blueprints that enable you to get bids, permits and build your dream. We can even recommend a good contractor for your project. 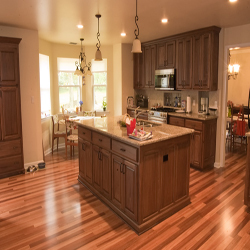 See our about us page for helpful home design and remodeling information such as definitions, green home building and more...! Sign up for our newsletter to receive helpful home building and remodeling information. 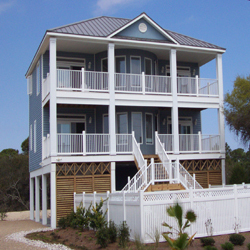 Custom House Plans•Addition or Remodeling Plans•Floor Plan Design•Carport Plans•Attached & Detached Garage Plans•Beach House Plans•Kitchen Renovations•Mother-In-Law Suites•As-Built Drawings•Pen & Ink or Watercolor Renderings•Home Portraits•And many more, call us for an estimate on your project.